Taos Pueblo, located at 7,200 feet above sea level in Taos New Mexico, has been inhabited continuously for about 1,000 years, and the multi-storied adobe buildings are considered to be the oldest continuously inhabited communities in the US. When Spanish explorers first arrived in the 1540’s, they believed the Pueblo was one of the famous golden cities of Cibola. 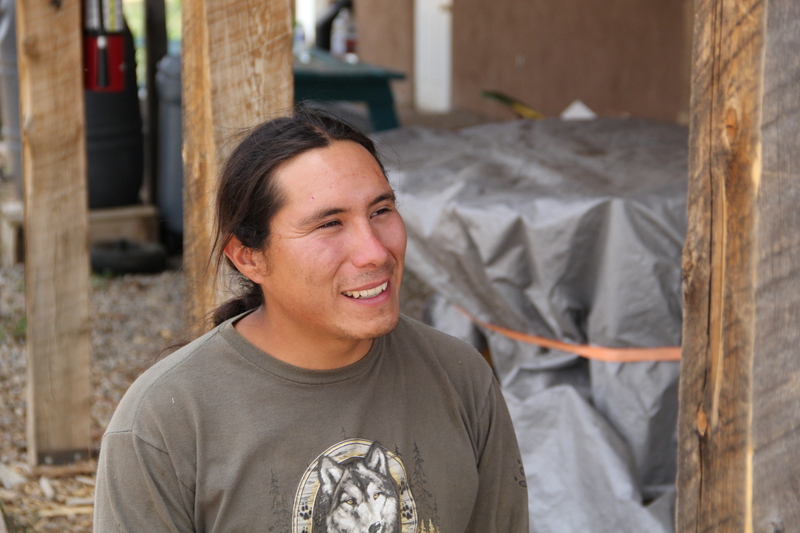 Currently over 1900 Taos Pueblo members are living on tribal land (which is 99,000 acres), with about 150 people living in the Pueblo full time, and other families living in summer homes near their fields or in modern homes outside of the old walls. 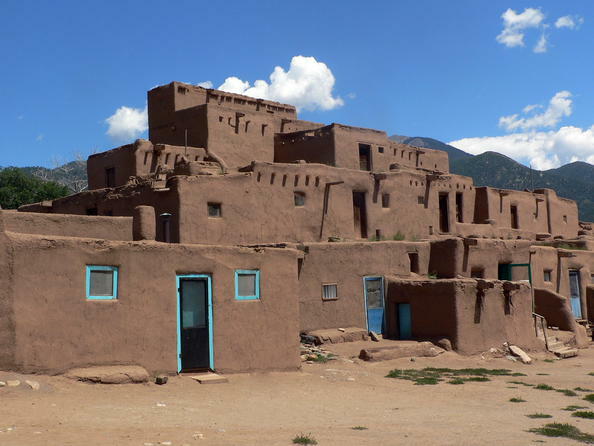 Taos was declared a National Historic Landmark in 1965 and a World Heritage Site in 1992. In 1906, 48,000 acres of mountain land, including the sacred Blue Lake was taken by the US Government under President Theodore Roosevelt and designated as the Carson National Forest. In 1970, under President Nixon, this land was returned to the Pueblo, and is now off limits to everyone but Pueblo members. 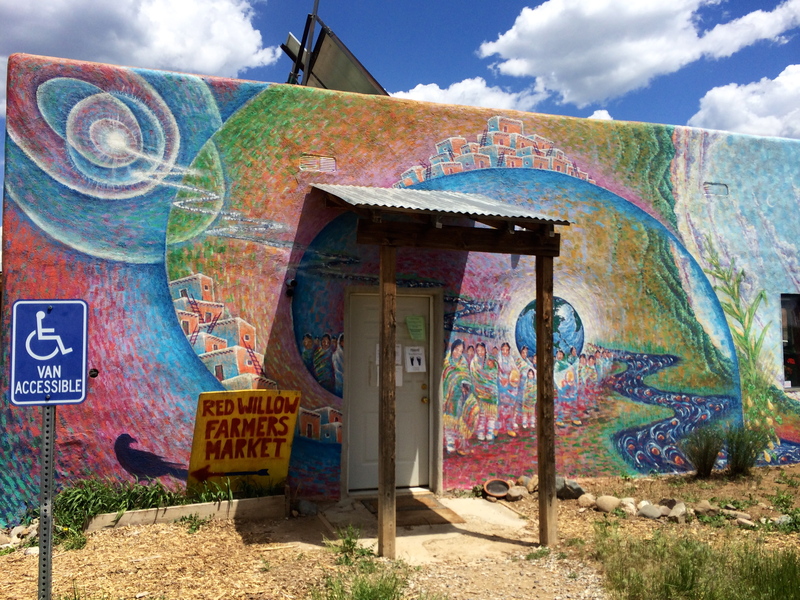 Red Willow, named for a stream that flows through the Pueblo, encompasses three separate entities: Red Willow Growers, Red Willow Center, and Red Willow Community Growers Co-op. 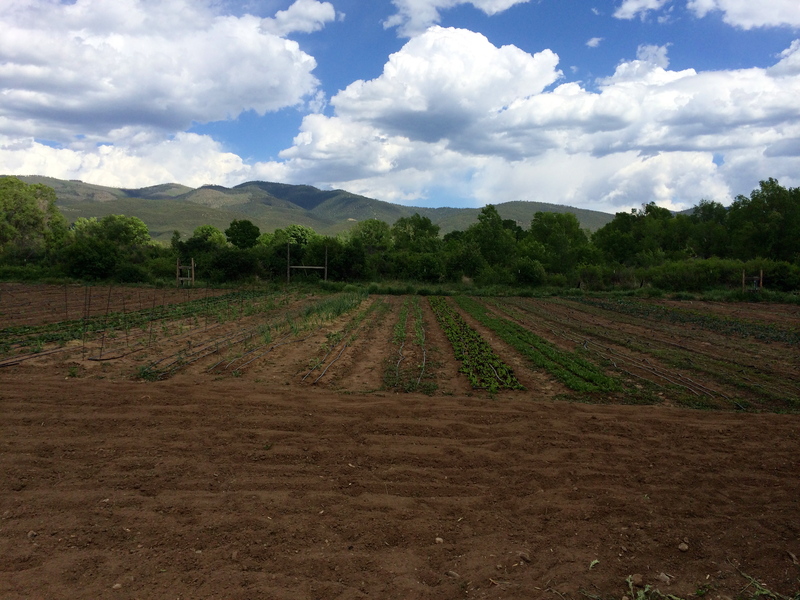 It emerged following the sustainable agriculture initiative approved by Taos Pueblo tribal administration in 2002 and was developed to support existing farmers and help develop new ones in order to strengthen the local food system. The co-op currently has about 60 members, who are entitled to borrow equipment, discounted tractor work, seed starting workshops, discounted group buying, as well as access to technical assistance and marketing assistance, and given the opportunity to sell their produce at the Red Willow Farmers Market. In addition, the co-op has written grants and funded studies in pest management, weed management, and crop storage, and makes the outcomes of these studies available to co-op members. 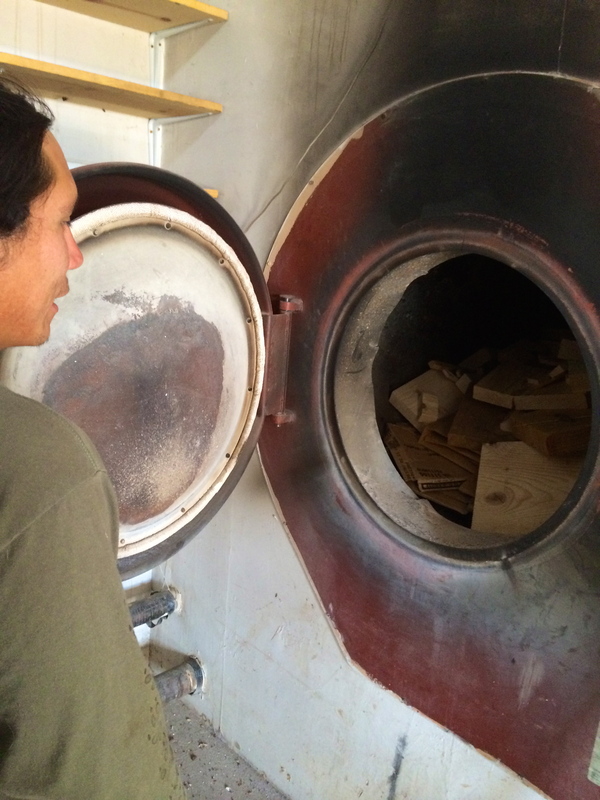 The Red Willow Farm is currently managed by Angelo McHorse, a recent college graduate from Ft Lewis College with a bachelor’s degree in business administration and an associate’s degree in agricultural sciences who grew up in Taos Pueblo. Angelo has a quick smile, moves constantly, and has a low tolerance for inefficiency. At 25 he’s the youngest farm manager we’ve met on our trip, but he quickly impressed us with his knowledge of crops, insects, renewable energy, and working with tribal systems. In addition to the co-op to assist local farmers, Red Willow is also working to create new famers through educational programs that provide some labor for the farm: a Summer Farm Internship for high school kids ages 14-18, and an Entrepreneurial Incubation Program for youth ages 18-30. In this program, youth come to the Red Willow Farm for 20 hours a week and are assigned a 350 square foot row, in which they decide which crops they want to plant, based on yield and revenue projections that Angelo has done for them. Once the youth harvest their crops there are three tiers of sales: they can bring their produce to the Red Willow Farmers Market and sell directly to customers, they can sell to local restaurants, or they can sell wholesale to an organic grocery store in town. The first tier is the most time consuming, but brings the most revenue to the young farmer (for example , lettuce can be sold at the market for $8 a pound, to a restaurant for about $6.50, or to the grocer for $4-5 a pound). In addition to working on the farm, every Friday the youth go on a field trip to another farm, belonging to one of the coop members, so that they can see what open water irrigation vs drip irrigation looks like or to see an established versus new orchard looks like. This has also helped the kids to get to know some of their neighbors in the pueblo. 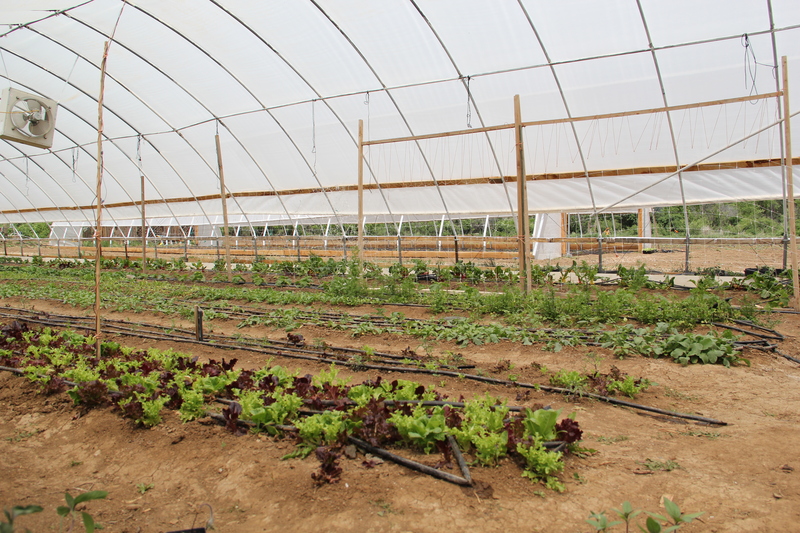 The Red Willow Farm was started as a demonstration site for sustainable farming systems, which include organic growing methods, solar powered irrigation and greenhouses heated with a biomass furnace. The farm has a GARN biomass furnace, in which wood and brush is burned, heating 3300 gallons of water that swirls around the steel encasement surrounding the fire. The heated water is then channeled into above- and below-ground pipes warming the Red Willow greenhouses (one 75 x 24 feet and the other 30×100 feet), as well as the classroom and administrative offices of the Red Willow Learning and Education Center and the new preservation building. In the winter, heating all of these structures requires about 3 cords of wood a month. 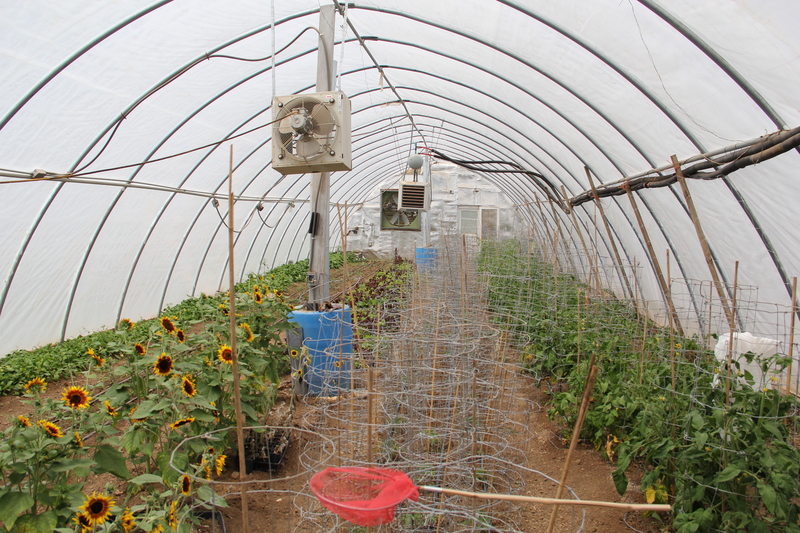 Inside the greenhouse that does not have the below-ground system attached to the furnace, a phase change system warms the soil. A series of fans near blue barrels draws the hot humid air from the top of the greenhouse into an underground system of perforated pipes18 inches below the soil, warming the earth around the plants.The other sustainable energy feature on the site is the series of solar tracking panels that power the irrigation system. The system is hooked up to an 8 battery reservoir, which will allow them to irrigate the fields for 3 days if there was no sun. This system saves the farm about $500 a month during the peak season of watering. 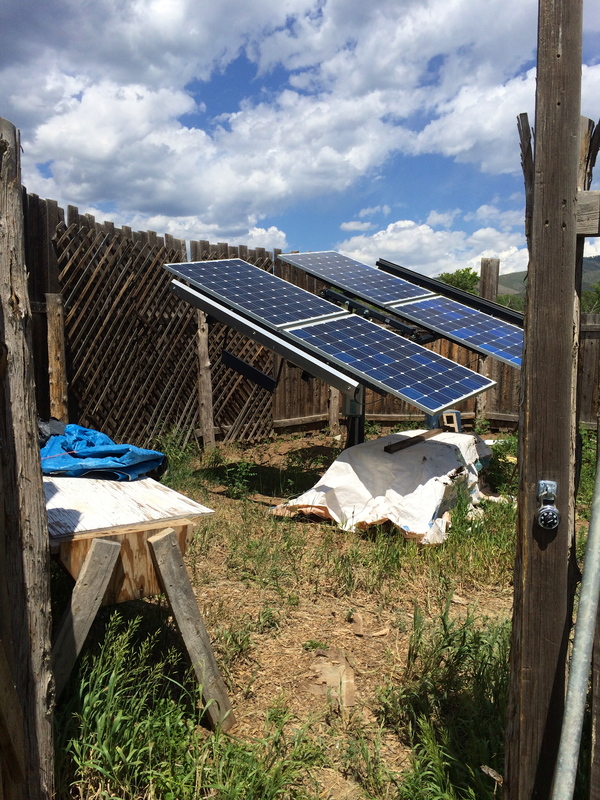 I was curious about the fence around the solar panels, and Angelo explained that initially this was to keep traditionalists from noticing the panels, in case they might be concerned about the Pueblo taboo against reflecting the sun. Except that the fence ended up drawing everyone’s attention. One of the farm’s supporters who was nearly an elder himself met with the concerned elders and explained that the panels were harnessing the sun rather than reflecting it, and that this was benefitting the farm and its crops. In the end the elders approved. The sun is also used to heat the equipment room, through a trombe wall, or a black south-facing wall that absorbs the sun during the day and radiates the heat at night, keeping the equipment from freezing during the winter months. The soil on the farm is supplemented through their compost project, which Angelo is currently working on expanding from an 81 foot wide by 40 feet long by 4 feet deep pile, to a 20 foot trench with five 4-foot compartments separated by pallets, that they will add waste to one compartment at a time. This will allow the worms to move from one compartment to the next following the food, which will allow them to dig out the finished compost without disturbing them. 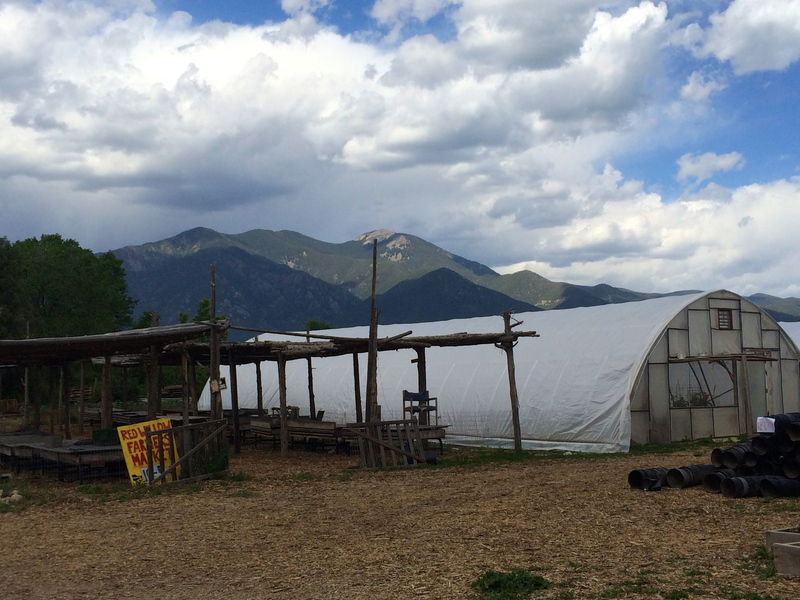 Food from the farm goes to a Taos organic grocery store in town, four restaurants in town, to the tribal Head Start and Senior nutrition programs. They are also currently working on the necessary certifications to send food to a local federally funded day school. Produce is also sold at the weekly Red Willow Farmers Market, which was founded in 2007 and runs from the end of June through September, and features local growers and cooking demonstrations. 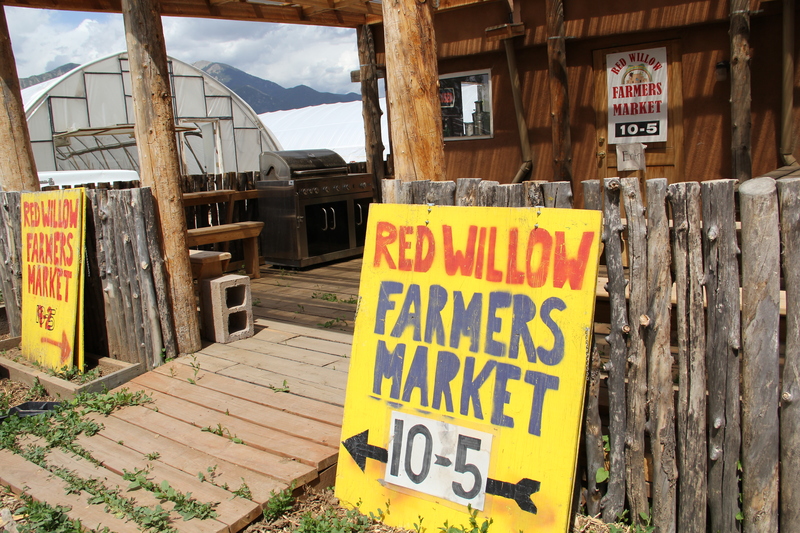 In addition to the farmers market, Red Willow a little store they operate 7 months out of the year. This store features, buffalo meat from the tribe’s herd, produce, and lunch items, as well as value added items like ground corn, jams, baked goods, and soaps. Red Willow also has a small orchard and herb garden. 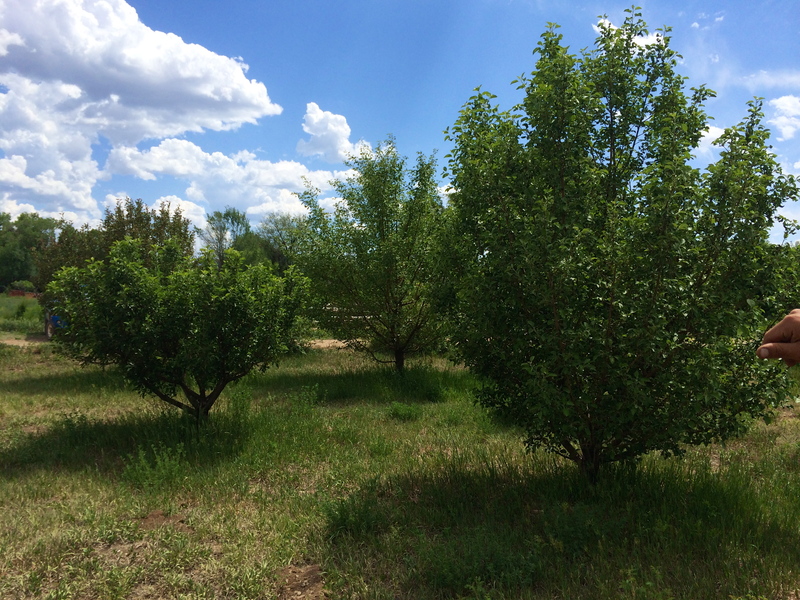 In addition, the fence row around all of the fields and the orchard are full of wild foods like choke cherries and plums. When young Pueblo boys go into the 14 month initiation process, they’re only allowed to stay up in the mountains of the pueblo, and they can’t eat any modern food, they cant see any cars, and they can’t hold any metal. The boys and their parents have to grow and forage for traditional foods during this time, and so Angelo is working on reestablishing the natural food sheds around the farm to support them in these efforts. Angelo is currently working to have the 3.2 acre site under his care as thoroughly planted as possible. His goal is not only that the farm be a place of learning, but also be a self-supporting operation. His goal is to make sure that youth “are not only learning about what sustainability is, but they’re also learning about actually how to grow food, who the food goes to, the operations of a successful business, how to sell it, and they’re stoked about it because they can finally see that farmers can make money and its not just a super tough job that has marginal income.” I know we left the site feeling pretty inspired! Sending Love and deep appreciation. i want to see pics of the beauty and bounty of the season on the farm. I do’t do facebook. Thank you.